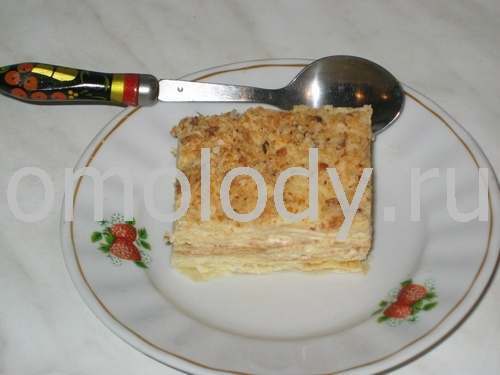 Napoleon puff Cake with beaten sweet butter. Recipes from Russia. (may use food processor). Stir in remained ingredients. 2. Divide the dough in to 7 parts. Roll it out 7 circles. Bake every circle in the oven. Chill. 3. Make filling. Spread the sweet butter filling over every crust. Place one crust over another buttered crust. 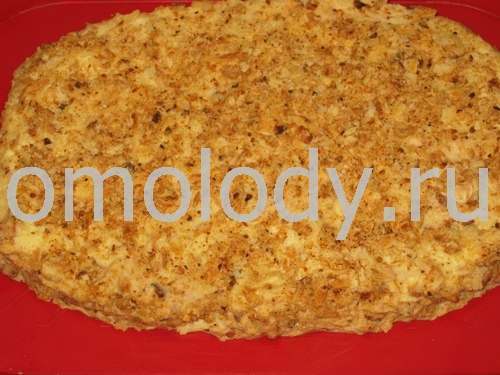 Top with sweet butter filling. Sprinkle with remained crust crumbs. 2. Beat butter! Use food processor. Whisk softened butter with sweet milk. Gradually add sweet cool milk to the soft butter, stirring to create a smooth whipped cream.